Gifts for our little princess | Cosa Mi Metto??? Lately we are receiving a lot of adorable gifts for our little princess. Look at this amazing set from Byba bijoux, don't you think it's lovely? Ultimamente stiamo ricevendo un sacco di adorabili regali per la nostra principessa. Guardate questa fantastica parure di Byba bijoux, non la trovate adorabile? Also look at this arm candy I received from Dettagli bijoux, and please notice the bracelet with the baby, heart with the word "mom" and rocking horse charms!!! E poi guardate questo arm candy che ho ricevuto da Dettagli bijoux, e vi prego di notare il bracciale con il bambino, il cuore con scritto "mamma" e il cavalluccio a dondolo!!! 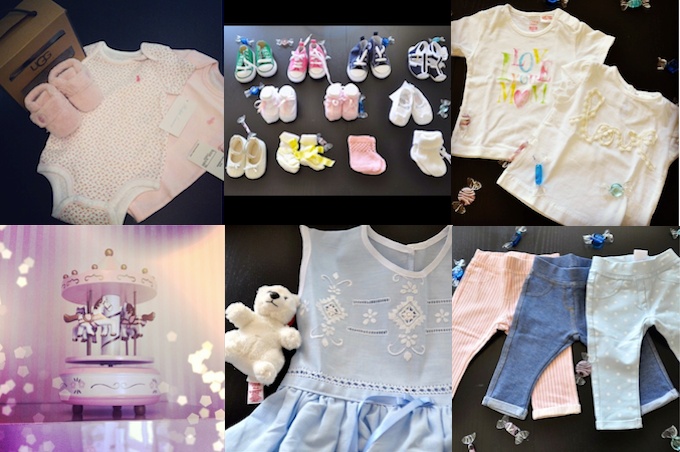 If you like to discover more about the lovely items we are receiving for our little daughter, go follow my instagram account, were you will find pictures like these ones! Se volete scoprire di più sulle cose adorabili che stiamo ricevendo per la nostra piccolina, seguite il mio account instagram, dove troverete fotografie come queste qui! Congrats for your little princess!!! We love all that beautiful things. Ohhh by the way we have a great Stolen Girlfriends Club giveaway on at the moment! So beautiful staff for all beautiful you !!! Nice charms indeed! kisses to baby princess Fabrizia! Artistix Duo in Freak Betty!! WOW! !